F&B is a family owned and operated company. 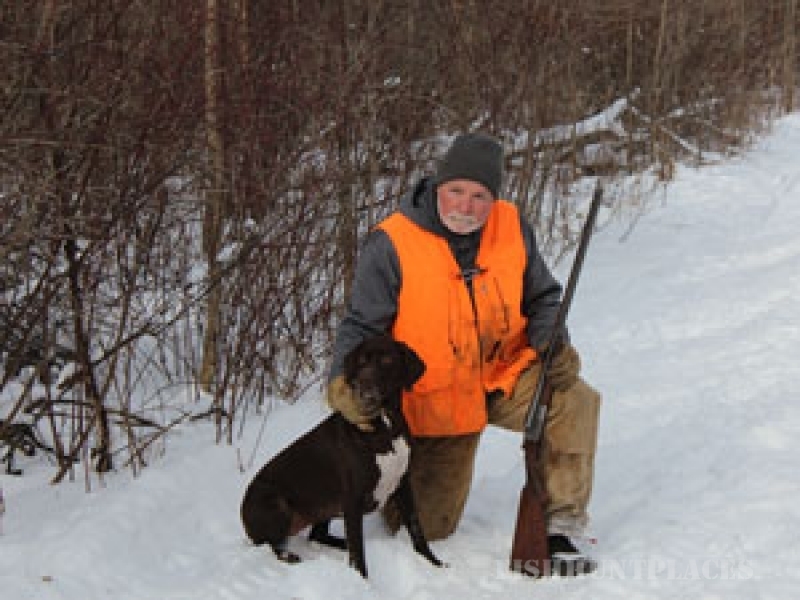 Fred, Bill and Al will be your guides when you book a hunt using our dogs. 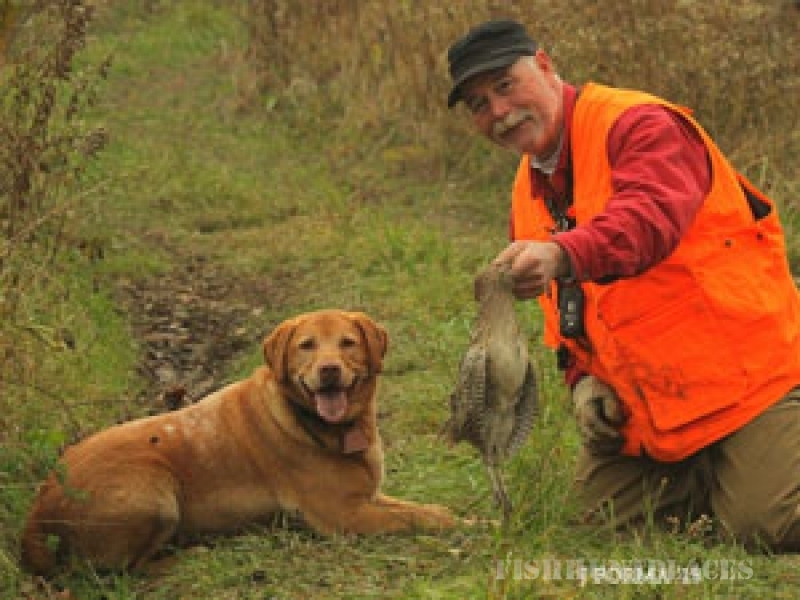 We train our dogs to stay in close range to the hunters so that the birds don’t flush too far ahead. We guarantee that for every bird you buy, we’ll give you a shooting opportunity. 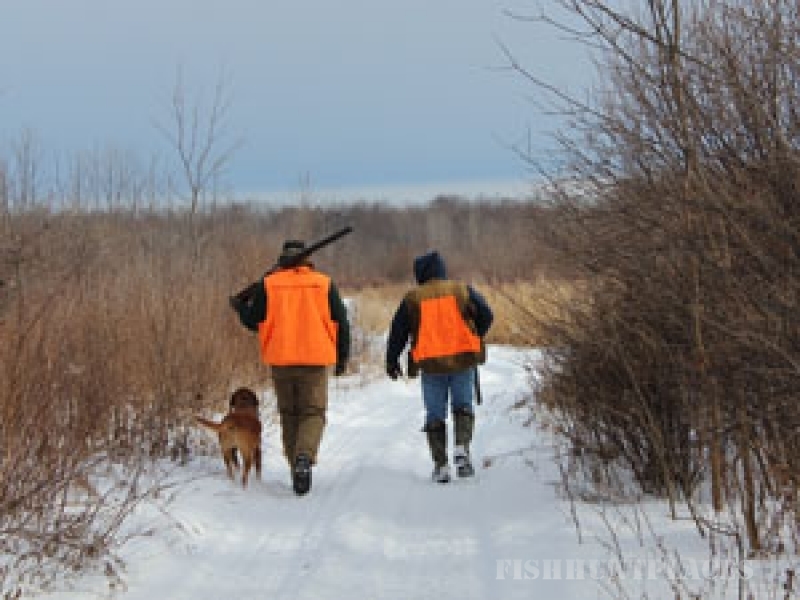 We encourage hunters to bring their own dog. Whether they are experienced dogs, very young and in need of training, or getting up in years, we’ll release the birds according to his or her ability. 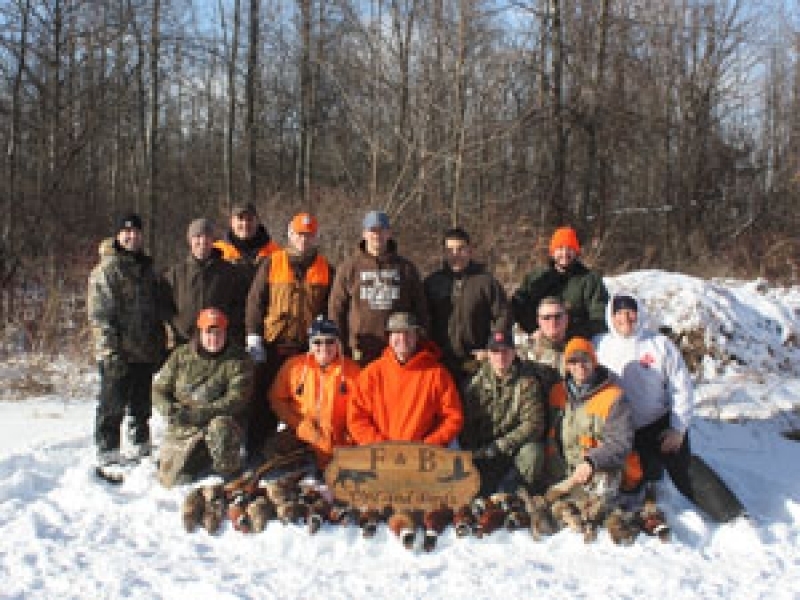 We offer hunting packages for individuals, families and large groups of friends who just want to have some fun. We can also accommodate corporate hunts. If you purchase 50 birds or more, you can hunt all day and we’ll provide a hot lunch at no extra cost. We have an outfitters tent and wood stove to warm you up on the cold winter days! We can accommodate hunters of all skill levels. If anyone needs assistance getting out in the fields, we provide a Kubota for photographers or disabled hunters. During the winter months, we use snowmobiles to pack down the trails. Sometimes there’s ice or slush depending on temperatures, but we do our best to make walking as easy as possible for your hunt.